REALESTS NCAA College Michigan Football Basketball Rich Rodriguez Lil Wayne DMX: FIRST GREG PAULUS, NOW KELVIN GRADY??? FIRST GREG PAULUS, NOW KELVIN GRADY??? 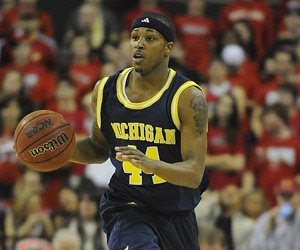 Apparently any former college basketball player has an open offer to join the Michigan football team, as former UM point guard Kelvin Grady has joined the football team. Take a look at the projected 2009 starting offense for our beloved Wolverines. Look at those bookend tackles! !